Being a teenager is already hard; but it’s even harder when your mother is a congresswoman running for re-election. While seventeen year-old Reagan Fray doesn’t have to worry about material things, she has a lot of other things that weigh her down. The pressure of appearing perfect is extremely difficult; taking example from her mother, Reagan has been handling it through strategic friendships and gossip, making her anxiety disorder all the harder to deal with. But Reagan is doing a pretty good job of appearing perfect on the surface, until the morning she walks into her high school to find her private messages have been printed thousand fold and stuck on the door of almost every locker in the school. Just like that, Reagan’s cover is blown, as all the students now know that anything she has ever said to them was part of a strategy intent on keeping her cover as the perfect congresswoman’s daughter intact. Her reputation in shreds, Reagan only has Nolan Letner to help her regain her status. But as he himself has also long ago been ostracized by the student community, she has a tough time accepting that he is going to do anything but harm her attempts to get back into everyone’s good graces. It becomes very quickly clear that, although it was tempting to use the same methods to climb back to the top of the school’s social pyramid, it wouldn’t solve the root cause of the problem. Regan’s eyes have finally been opened to the consequences of her bullying on others and she can’t turn back; she isn’t that mean person she had morphed into, and does not want to perpetuate the behavior that is now making her just as miserable as those she used to ditch it out to. Times are increasingly difficult for not just teenagers, but for just about everyone. Age old social structures from the family to our systems of governance continue to crumble. At the same time, new tools more powerful than anything we have seen before are making their way into our hands. In a way, author Cole Gibsen analyses the intersection between the two; the social structure that Reagan established through strategic friendships and calculated gossip crumbled to dust when the powerful tool that is social media was used against her. An interesting question that a book club might consider reflecting on is that of justice: was it served in this situation? But however dire the news, however horrible events are happening around the world, most people are good. Unfortunately, they tend to get swayed by the powerful negative forces of society that relentlessly act on us. It is only through a process of deep reflection and determined action that we can step away from the habits we have established within this matrix of negative social forces and create patterns of behaviour that are conducive to both our personal development and the development of our communities. This is what happened to Reagan; she loses everything she has worked so hard for, only to realise that is had never reflected who she really was. Thankfully, she did not miraculously turn into a saint by the end of the book, which would have been a completely unrealistic ending to the story. Rather, she came to realise that perhaps she can achieve the same things—popularity, helping her mother’s campaign, and dealing with her anxiety—in a much healthier way that is more at par with the kinder person she always felt she really was. 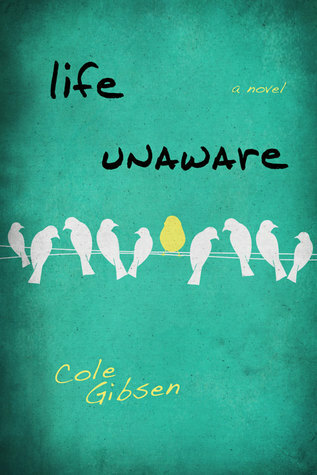 Cole Gibsen’s Life Unaware is a powerful story that can make readers rethink the seeming obviousness of their patterns of behavior that are in fact not a reflection of who they truly are: noble human beings.